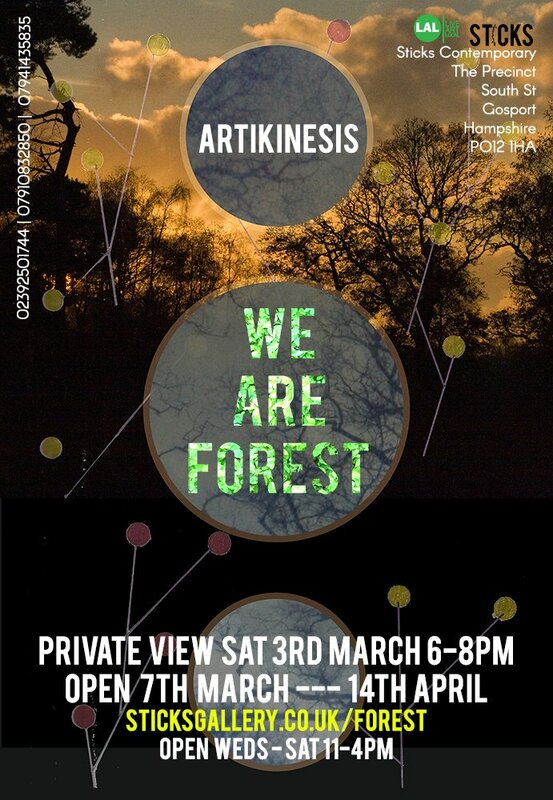 Our installation of We Are Forest has been interrupted by Storm Emma, who has brought sub-zero temperatures and high winds to North Hampshire. With icy conditions and snow drifts piling up on the roads, we have been unable to travel down to Gosport to finish what we started earlier in the week. Unfortunately, this means that the preview on Saturday has had to be cancelled, but we still hope to be able to get to Gosport and finish the painting before Wednesday (7 March), when the gallery reopens and the exhibition is due to start.